Do You Want To Become A Songster? As we start our rehearsals for a new season, we are issuing an open invitation to anyone who would like to come along and observe or participate in those rehearsals with a view to joining us as a Songster. We are particularly keen to recruit Tenors, but are also happy to see Basses and Baritones joining the ranks. You don't need to be a qualified musician, or be able to read music (the majority of our members are not music-readers) - all we ask is that you enjoy music, you want to sing, and that you are keen to learn along with the rest of us. 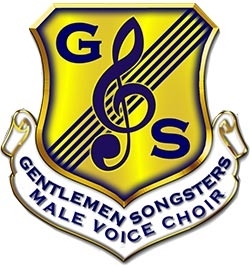 We have a very friendly group of singers in the choir, we enjoy the social side of our singing, we have a reputaion of being a good quality male voice choir, and we sing a very wide variety of music.